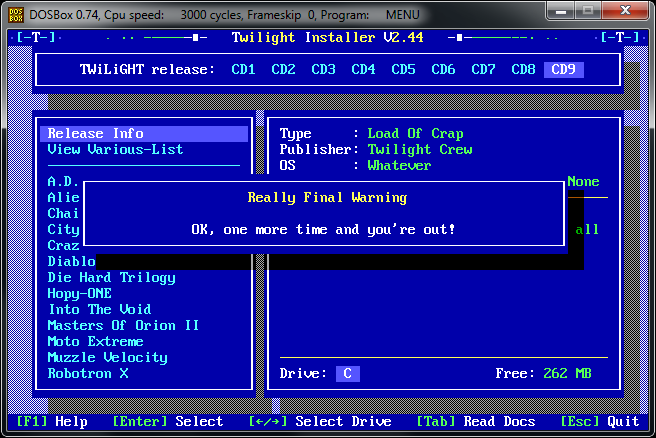 Menu.exe from the Twilight DOS has provided some easter eggs such as menu options and DrUnK mode… but there’s still more. 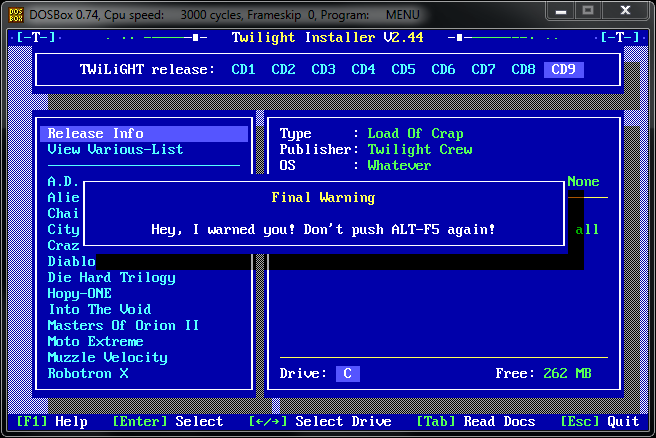 After creating a memory-dump of the Twilight executable, we found the following funny easter-egg… you can trigger that by hitting ALT+F5. Now the debugger window appears next to the application window. The application will run with F5. 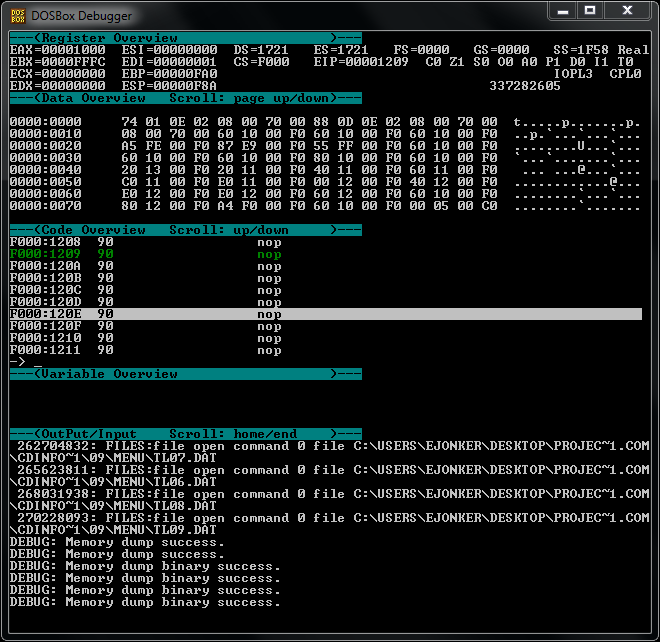 After running a binary memory dump can be made with MEMDUMPBIN 1000000. 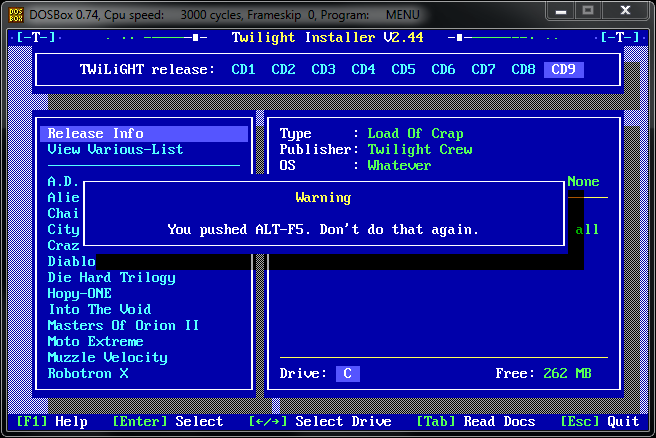 This will dump all Twilight’s menu messages (for all windows and menu options) in a textfile in the dosbox folder. The file is called memdump.bin and will open with a text editor. 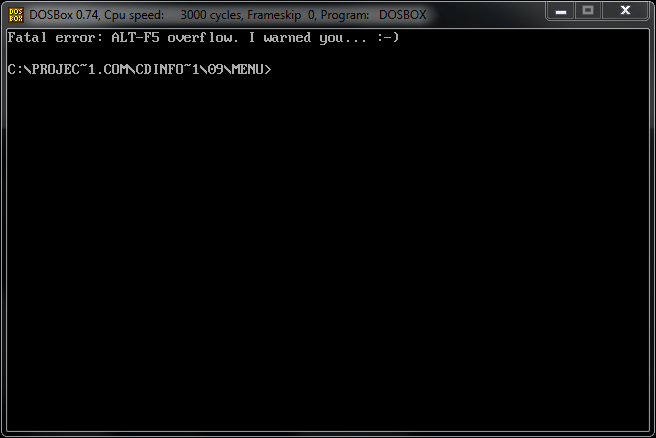 Menu.exe contains many many many status messages, but most of them are functional and can be reached using the menu’s option. 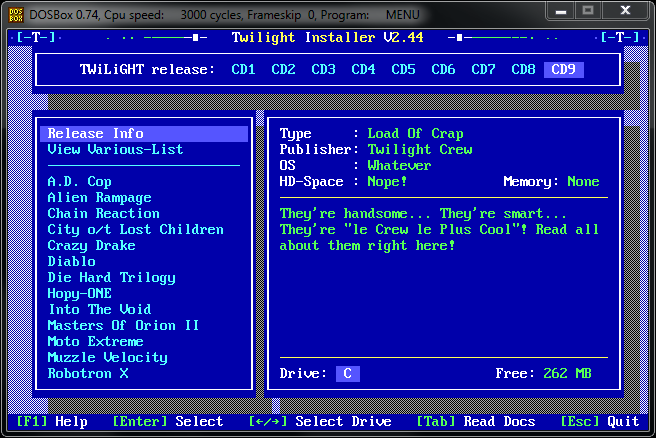 Menu.exe was built with Borland C++ – Copyright 1991 Borland Intl. References to S3 Trio64, IBM and Compaq are also in the dump, most likely from the debugger itself.